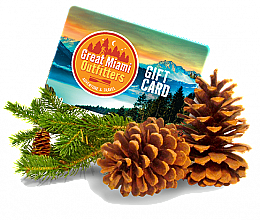 Great Miami Outfitters is proud to offer many educational programs and trips to encourage others to enjoy an active healthy outdoor lifestyle. We keep our participant-to-instructor ratio as low as possible so that each participant receives the best service possible. In order to effectively offer these programs and trips, we have a Cancellation & Refund Policy. We understand that your plans may change and we hope you understand that this policy is in place so that we can continue to provide a high level of trips and educational programs. • Trip and program fees must be paid in full at the time of registration in order to reserve your spot. • All outdoor courses and trips will take place rain or shine. In the event of severe weather - a delay, postponement, or cancellation may be decided on site on the day of the program. • All fees include a non-refundable deposit of 25% of the total fee. • Should you need to cancel at least 14 days prior to the start date of the trip or program, we will provide a refund, minus the non-refundable 25% deposit fee. • Please note that NO refunds can be provided if you cancel within 14 days of the start date of the trip or program. • If we cancel the program or trip for any reason, registered participants will receive a FULL refund. If you have any questions about this policy, feel free to email us at adventure@greatmiamioutfitters.com or call 937-938-5009 and ask to speak with our program staff.